The accolades began to flow in 2010 when Philly won the National Noel Tovey Achievement Award and became Mildura’s NAIDOC Artist of the Year. He dreamed bigger dreams, signed with Payback Records, supported the Yung Warriors on their national tour , and nationally with Briggs in 2014 & aims to perform in the US. 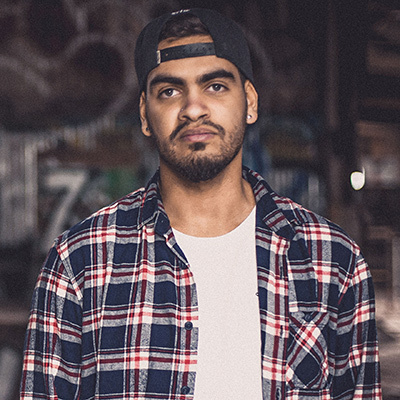 He won triple j’s Unearthed NIMA Competition in 2014 earning him a performance slot alongside Briggs, Jimblah & The Last Kinection. “I feel like I’m dreaming,” he said on the night. The following week his debut single We On shot to No.5 on iTunes Hip Hop charts. Philly has continued to shine bright in 2015! He was the winner of the National Indigenous Music Awards ‘New Talent of the Year’ category, he performed a breathtaking rendition of Bob Marley’s Three Little Bird for triple j’s Like a Version, and he released his first E.P – Dreamchaser. The young MC is determined to continue to use his voice to make change and inspire young people.